Almost three quarters (73%) of millennials agreed they would be more motivated to work if it was recognised by personalised benefits in addition to salary – the same goes for 65% of Gen X and 57% of baby boomers. It is a well established fact that engaged employees drive more business growth. Companies with strong employee engagement rates experience 87% higher staff retention, 17% higher productivity levels, 20% higher sales and 19% increase in revenue. For SME’s, the challenges of engaging and retaining talent can be exacerbated by limited resources, cost pressures, competition and lack of specific knowledge of HR and legal matters. Offering a package of perks, particularly to part time and temporray staff, can be a challenge. 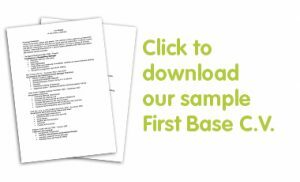 To help our SME clients, First Base took a cold hard look at what is working regarding employee engagement around the world and came across a model that has been successful in the US for over 25 years. The PEO (Professional Employment Organisation) model, which has recently been adapted to UK needs by our payroll partner, Hive360, is based on ‘co-employment’ and group buying power. In America, where 3.4mi workers are employed through this model, companies using PEO grow up to 9% faster, have up to 14% less staff turnover, are 50% less likely to go out of business and reduce admin costs significantly per employee. Through our partnership with Hive 360, we offer our temporary staff a pay & perks portal which gives them access to services such as 24h NHS approved telephone GP service, specialised phone counselling, health and wellbeing advice and thousands of shopping and lifestyle discounts. Through the portal they also receive payslips in a GDPR compliant way and be able to see their pensions performance in real time. This adds value to our relationship with temporary staff and in turn helps the employers we work with. (This blog was adapted from an article provided by our payroll partner, Hive 360).